There aren’t many downsides to our furry friends. They provide us with plenty of joy. Unfortunately, we do end up with both stains and odors from them. Thankfully, there are a plenty of ways to take care of these problems. This ultimate guide will cover some easy solutions to these smelly and unsightly problems. entereted the market. Unfortunately, not all of them are that good. Furthermore, many people erroneously believe that these are two separate problems that require two separate solutions. That really is not the case. There are plenty of available products that work perfectly fine for removing stains and odors. You should consider the following points before making a purchase. There are many different cleaners on the market, and some will work better than others. left behind by their pets. These cleaners work by completely breaking down the compounds that make up the stain and those that produce the odor. They offer a remarkable and biological solution that stops the heart of the problem instead of just masking it. Most other cleaning products are designed for various types of carpet cleaning machines. They work great for carpet in general. You can also purchase a cleaner specifically designed to take care of either feces, vomit, or urine stains. The surface that you want to clean will have an impact on which product you choose. For the most part, these can be separated into hard and soft surfaces. A cleaner that works well on carpet might not work as well on tile or hardwood. Hardwood can be especially problematic when it comes to picking out a good cleaner, but enzymatic cleaners usually do not damage the finish. That said, many pet stain and odor removers work decently well on both types of surfaces. We’ve picked out five of the best cleaning products to help you clean piddle stains and the resulting odor. Each of the cleaners listed below work great with one particular problem and all of them. 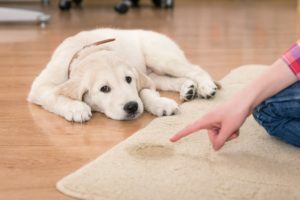 They all do a great job keeping the home from smelling and the carpets from becoming stained by dogs, cats, or any other pets that you may have running around your house. This is a great solution to any odor or stain problem you might face from your pet. 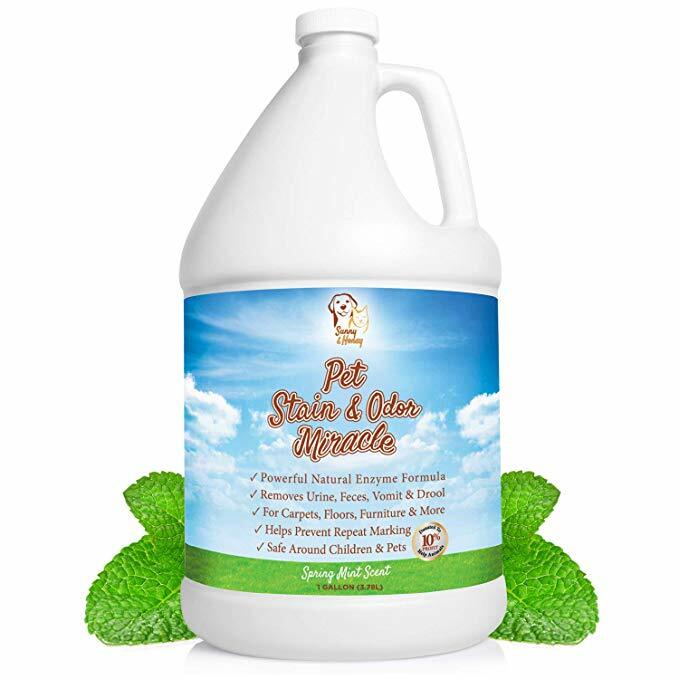 Pet Stain and Odor Remover by Sunny & Honey is an enzymatic cleaner that scores top points from us for its ability to be used anytime to remove the toughest stains and the foulest odors. 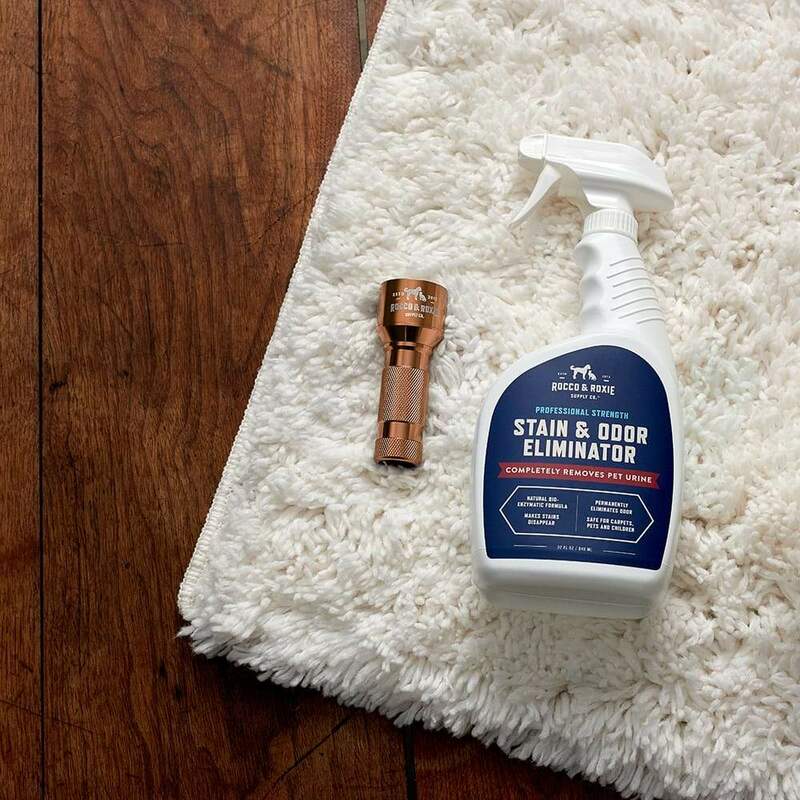 It handles both stains and odor with ease and most people will find that it can eliminate almost any pet stain or odor they may come across in their home. You don’t need to worry about staining either. Sunny & Honey’s cleaner breaks down urine stains in a natural way. All you’re left with is the fresh scent from the cleaner. For those combating a large amount of stains and smells, it’s hard to recommend anything other than Sunny & Honey Pet Stain and Odor Remover. 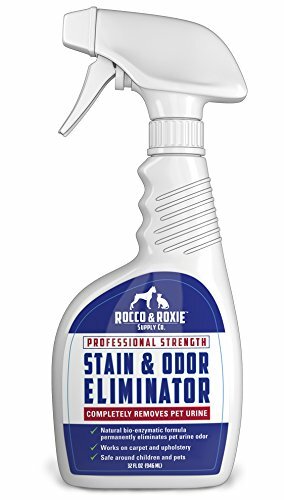 Rocco & Roxie’s Professional Strength Stain & Odor Eliminator lives up to its name. This efficacious liquid will remove odors. This isn’t its true strength though. Rocco & Roxie’s cleaner does a great job removing hard stains. The enzymatic action of this cleaner can remove crystallized urine. Removing crystallized urine does take time and is never an instant solution. Crystalized urine is particularly difficult and usually requires an overnight soak, but Rocco & Roxie’s can remove it. The same cannot be said about other cleaners on this list. Rocco & Roxie’s can really handle anything. Some examples include years of dog urine and even a cat that loves to spray your home. Just make sure to give it plenty of time to soak and you’ll be well on your way to a cleaner and better smelling floor. Pet and dog urine odor remover from Angry Orange works great if you’re not dealing with stains, but are still overwhelmed by your pet odor. 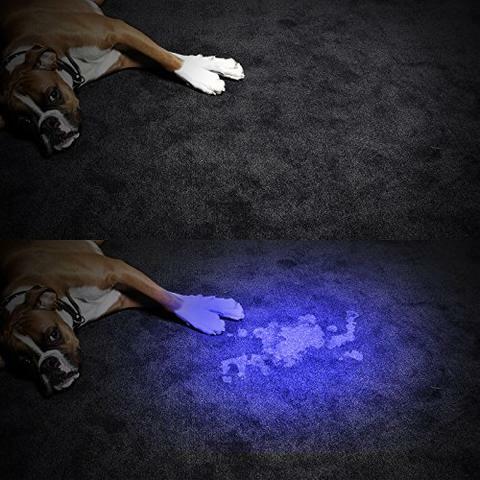 It was designed to eliminate pet odor with little focus on removing stains. Don’t purchase this to remove stains of if you have a hardwood floor. The citrus scent is pleasant. More importantly, it will discourage all but the most stubborn pets from reusing the area. It does this by removing all traces of the smell, so your dog will not feel the urge to urinate on that spot again. We all know the pain of having to repeatedly clean urine from the same area. This solution discourages that behavior, which means you won’t have to do as much cleaning. It’s also useful pretty much anywhere. This includes an outdoor kennel, tile, and even that spot in the backyard. Don’t let the small size of the bottle fool you. 8oz of this product can be used to make up to a gallon of spray since this is a concentrated solution. There is one flaw with this solution: the same citrus smell that discourages your pets from reusing the area is created by orange oil. Orange oil may strip the finish from your hardwood floor. Do not use this with a hardwood floor. If pet odor is the main problem in your home or outside, this is the solution to your problem. Again, don’t use it on a hardwood floor. 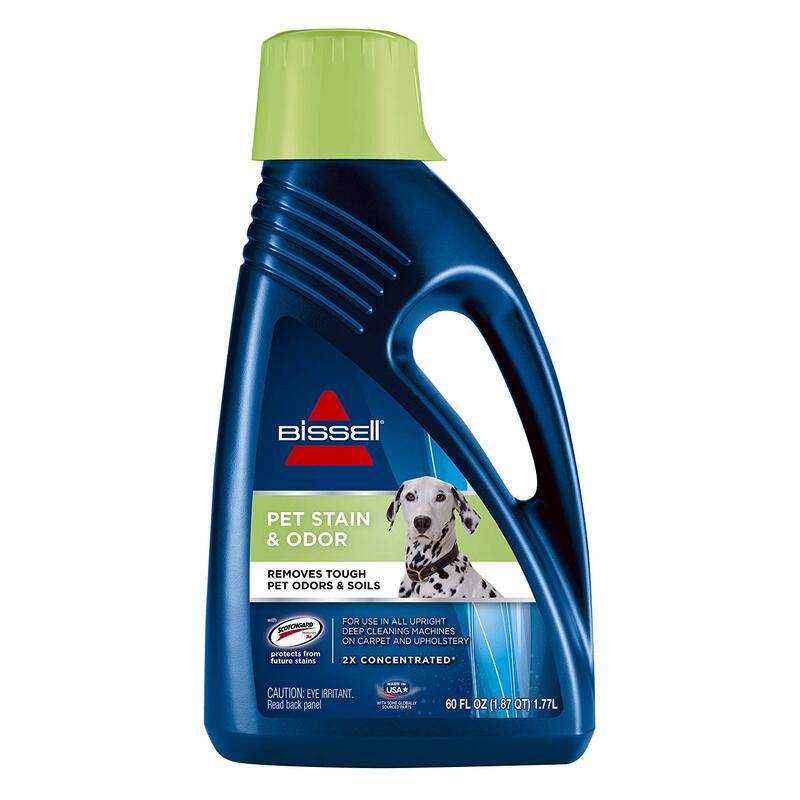 If you already own a carpet cleaner, then you’re going to be happy with the Bissell 2X Pet Stain & Odor remover. It’s also much more affordable than most standalone options. not do anything on a hard floor. Another benefit of this product is that it has Scotchguard built into it. This means you get the cleaning and odor removal and a protective layer that will stay in place on the offending rug. If you’ve got a carpet cleaner already, then this just might be the solution for you. If not, you can try and mix it in a spray bottle to take advantage of the lowered cost. However, this is not particularly effective and you will likely be better off with a standalone product we recommend. There’s a common theme with most pet care products: a high cost. 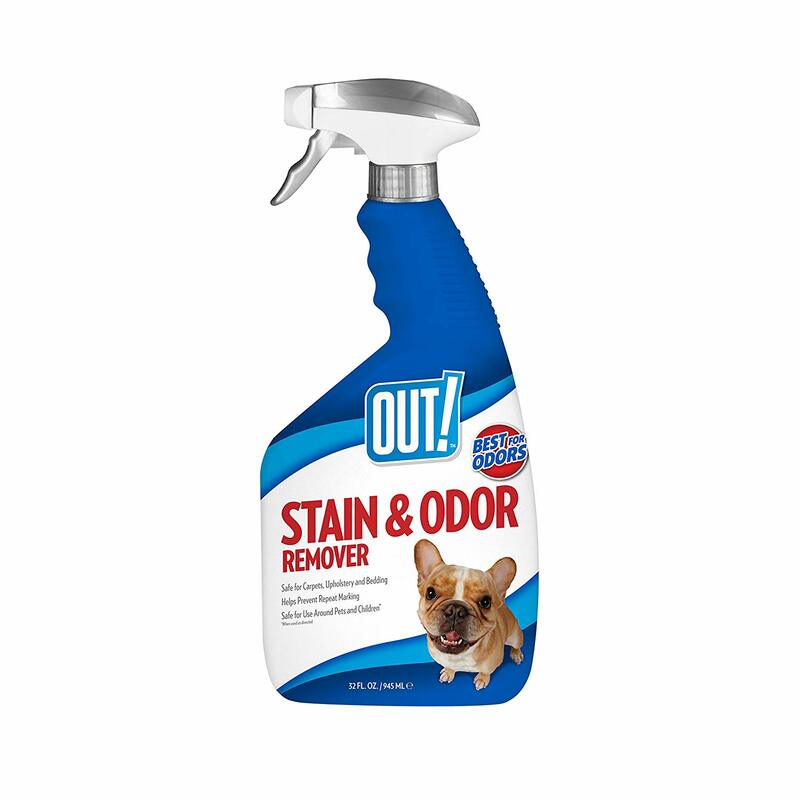 Out!’s Pet Stain and Odor Remover solves the stain and odor problem without costing you a lot of money. Fortunately, the low cost doesn’t have an impact on the efficacy of Out!. This stuff just works. You’ll be able to easily handle most stains and odors. Just spray it down, give it some time to work, and that’s it. It does have some shortcomings: Out! works best on fresh stains. If you’re moving into a former hoarder’s house that has crystallized urine and ruined floorboards, then it’s not going to be sufficient. This solution is for those of you that have a clean home and want to keep it that way. In other words, this product is for most people. For those on a tight budget and not needing to handle old stains and odors, Out! will give you a pretty impressive amount of utility without breaking the bank. There are a few tricks to make sure that you have properly treated pet stains and odors. Some homemade remedies exist that people heavily recommend. Some of those remedies work well and some of them don’t work at all. Simply buying a cleaner usually isn’t enough. You need to know how to handle the problem. Most odor removers and cleaners work best when you try to handle the issue as soon you see it. A quick response makes things much easier. Enzymatic solutions in particular are much more effective the sooner you use them. Many of the cheaper cleaners simply will not act on set in stains and odors. If this is the case — take some powerful solution, absorb everything and wait for some time. Oftentimes this means leaving it overnight. The biggest obstacle for cleaning up after your pet is a hardwood floor. You should always try your cleaner somewhere invisible to make sure that there will be no problems. Once you confirm that the cleaner is compatible, then you can use it to treat remove the stain or smell. Commercial cleaning products offer a turnkey solution. When they don’t work the right way, it can generally be attributed to user error of some sort. Make sure you carefully read the instructions and if it takes multiple attempts to remove the mess, then you should change your approach until you remedy the problem. Commercial products offer many benefits. However, there are a some ways that you can take care of things yourself without investing in a product. They are never as effective as a dedicated product, but these work well if you want to save cash and don’t care too much about effectiveness. The first variant you can try is mixing baking soda and a vinegar. 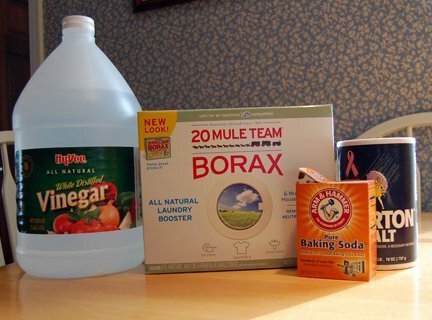 Take 2 tablespoons of soda, 1 cup of white vinegar with a cup of warm water then use it to the stain at once. Wait from 5 to 10 minutes — then take your towel and clean the offending area. It actually works very well for minor issues. The one problem is that you swap the smell of urine for vinegar scent. This solution works best for odor (if you can handle the vinegar scent). The vinegar also removes some very minor stains. Apply this solution and scrub the tile. You’ll want to vacuum once finished if it’s on carpet. Do not use peroxide mix if you have a multi color carpet. Deciding which product to use is the first step to keeping your home fresh and tidy, no matter how many pets you have. 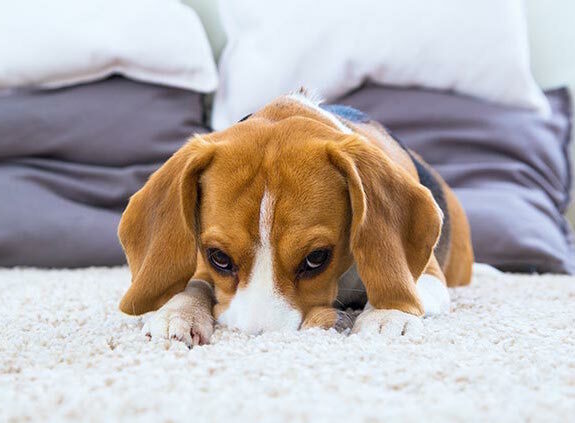 There is no need to apologize for stains or smells that can accumulate even in the most well-educated pets in the house, when you have the best way to remove stains and odors on your part. Figure out which is right for you and give it a try. It’s time you have a house that does not smell like dogs or cats. 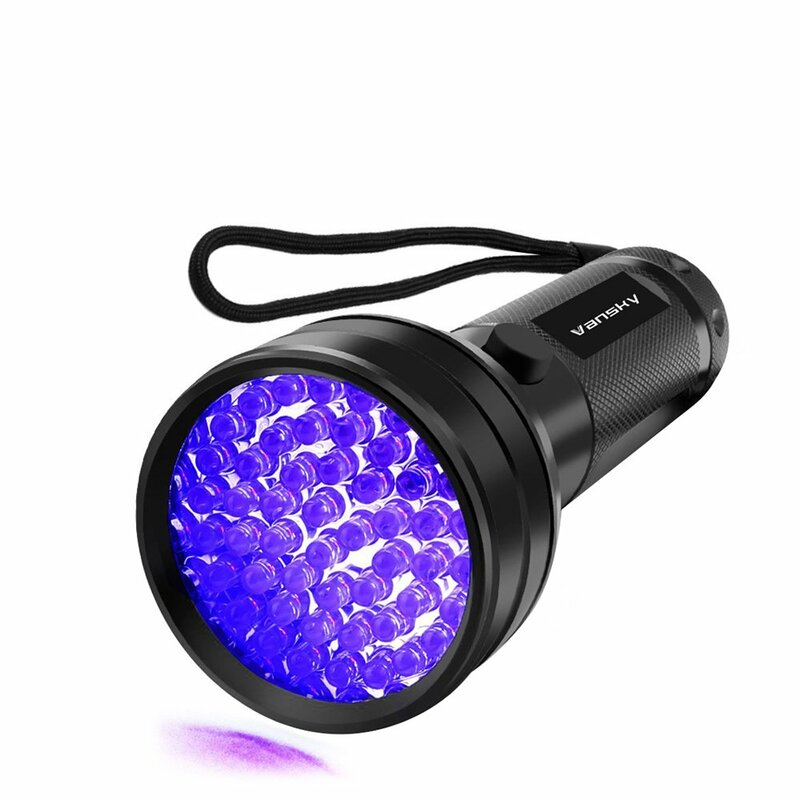 Try the Vansky 51 LED Ultraviolet Blacklight Pet Urine Detector. This amazing gadget will help you to identify the dry, but smelly urine spots of cats, dogs or rodents , as well as to find scorpions, beetles and various unfavorable traces that cannot be seen with the naked eye.